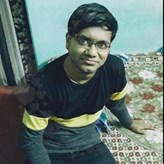 I work as a Software Engineer in Nomura Research Institute, Kolkata. I smply enjoy cooking. Chowmein, Fish, Different varities of Potatoe preparation. I can cook them. Simple rice, dal. All thanks to my mum. What I love most about Islam that It has always been correct in whatever it advices. Since I am not good in Islam, I want my wife to be a religious one. I want to marry you for your religiousness, your faith in Islam. I know I am poor, but all I ask help me reach closer to Allah. I want to be better muslim. You should message If you think I am a man who can be improved and to whom if you provide support, you will reach closer to Allah.